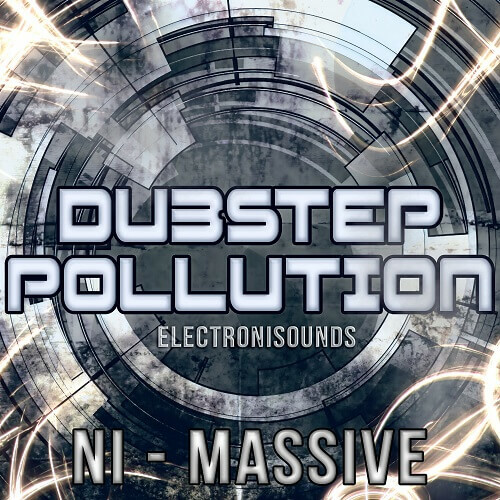 Electronisounds throws down the heat with 100 hard-hitting patches for NI Massive with Dubstep Pollution. These patches are perfect for: Dubstep, Complextro, Drumstep, Drum and Bass, Neurofunk, Techstep, Breakbeat, Glitch-hop, EDM, Electro & more. Whether you’re a seasoned Dubstep producer or are just starting out – these sounds will get your creativity flowing and give you new ideas for your tracks! You’ll need more than just a stack of killer bass patches to write your next smash hit. We’ve included wicked basses, leads, synths, keys, pads and sfx that pack serious punch for creating legendary melodics! Expand your sonic pallete and get these exceptional new sounds for your NI Massive VST synth! NOTE: There are NO extra effects or side-chaining used in the audio demo. A bit of EQ is all we used. All drum sounds/loops in the audio demo are from various other Electronisounds Dubstep samplepacks.